The ten day Winter Shuffle festival takes place at St Clements Hospital, a former mental health hospital in Mile End Road. Lots of events are planned for the festival with people like Danny Boyle, Nic Roeg and Jarvis Cocker all taking part - full programme here. During the festival India Hamilton will be managing the cafe, selling a set menu including Stew. "Since this tis the season, I strongly urge you to make it out to Mile End starting next week for Winter Shuffle, the mad art/film/culture festival that Kate MacTiernan and Lizzy Daish have cooked up in the abandoned asylum in and around St Clements Hospital. It's a seasonal reprise of the successful event they put on this past summer. Films curated by Danny Boyle, a Q&A with Nic Roeg moderated by Jarvis Cocker, kids' films & events, dining in an enchanted forest, and a deranged Warhol Factory on LSD room installation by Uliana Apatina (especially suitable for children! ), and a whole lot more. 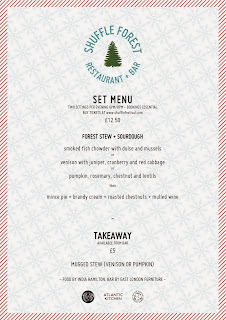 The Forest Restaurant and bar have created a forest setting filled which trees, and lights. 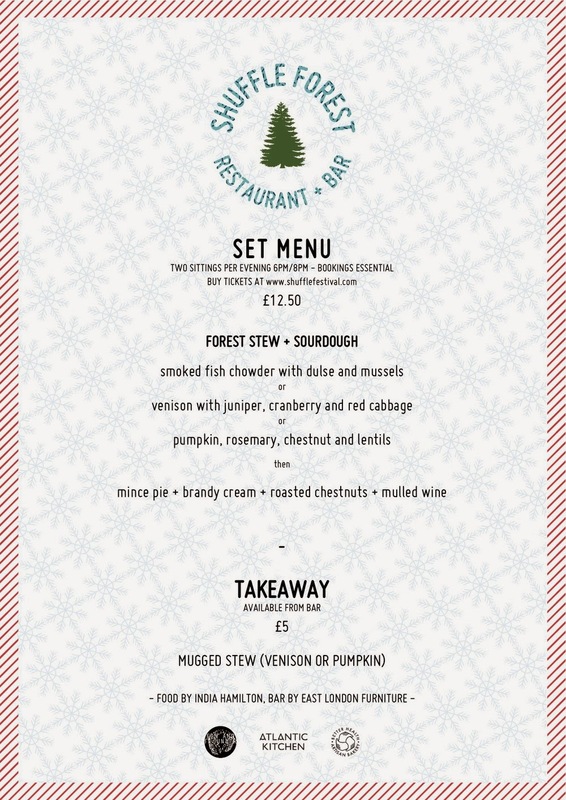 The Menu is a set menu of Stew, SourDough and Christmas Treat Desserts for £12.50"